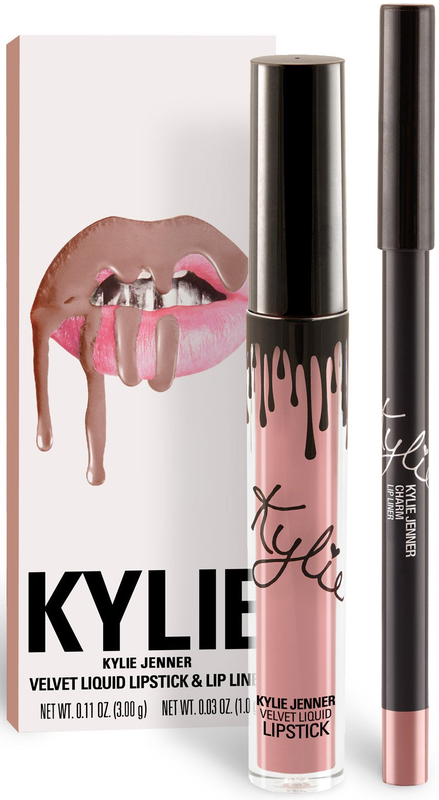 Kylie Cosmetics is known for their Matte Liquid Lipstick "Lip Kits" which paired a matching lip liner with a liquid lipstick years ago. I got to try out their new Velvet Lip Kits and I was pretty happy with them. 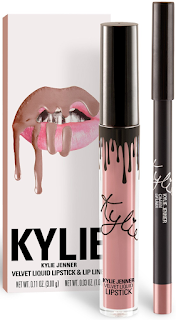 What's the difference between the matte lip kits and the velvet ones? The velvet lip kits are still matte, but not as matte, if that makes any sense. It's like a demi-matte. I think it is similar to the difference between Urban Dcay's Vice lipsticks, they have a Matte line and a Comfort Matte line. The velvet's are a comfort matte. The packaging got a 4. I dislike that the label and the writing on the product come off super quickly. Otherwise it's great. It smells amazing, like butterscotch! I love the scent. But it's a little strong which knocked it down to a 4. A little goes a long way, I didn't need more than one coat to get full coverage and pigment. As far as wear I only had to reapply after eating and when I kissed my husband there was only the faintest hint of it on his cheek. That's a 5 out of 5 in my book! The last one was hard for me to decide what to actually put as a category. I thought maybe moisturizing, but this isn't supposed to be moisturizing. So maybe then comfort? Anyways, I guess my question was does this dry out your lips until they feel like a crispy bacon strip, or does it feel natural and soft? For a matte liquid lipstick this feels very light and wasn't drying at all. It didn't add moisture, but ti didn't leave my lips feeling like a desert. I overall really like and recommend this product. Thank you for sharing this tip, will definitely give it a try!